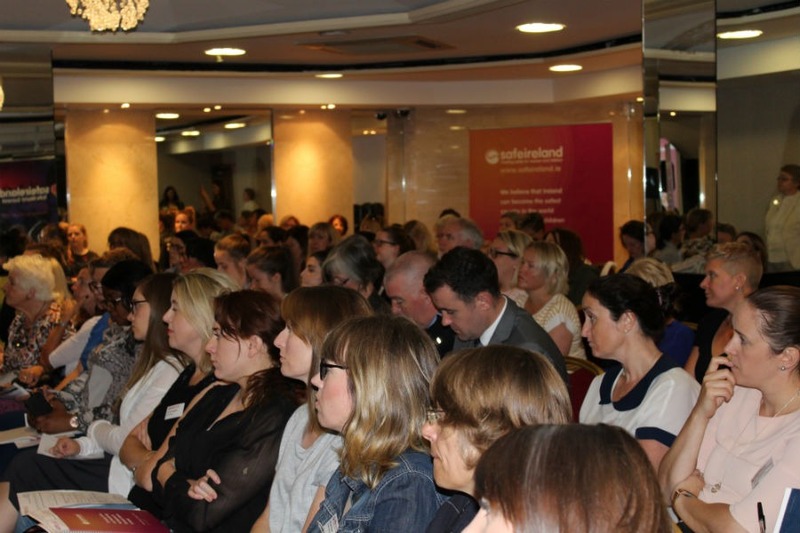 We were delighted to host over 120 attendees, from many life experiences, various professions and organisations working across Ireland including An Garda Síochána, Tusla, the DPP, social work, healthcare, victim support services and legal professionals, among others. 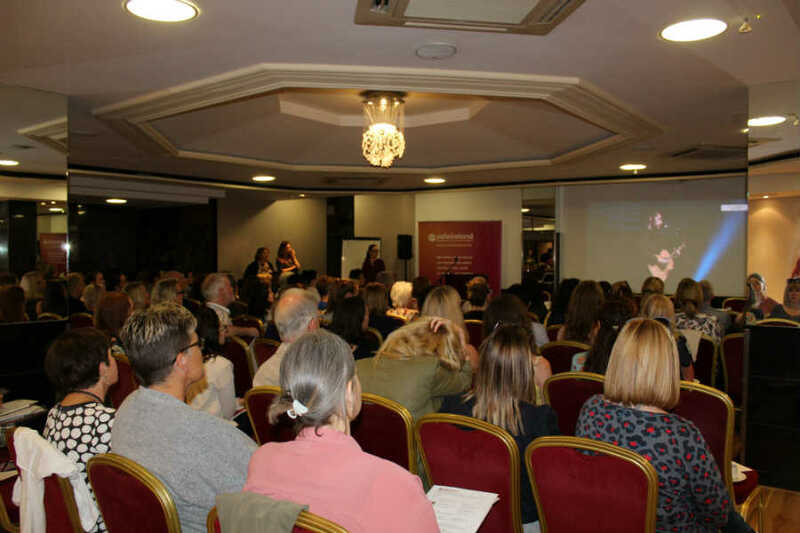 The event was intended to inform attendees of the new provisions within the Act, reflect on some of the key learnings from the legislative journey, and deepen our understanding of coercive control. 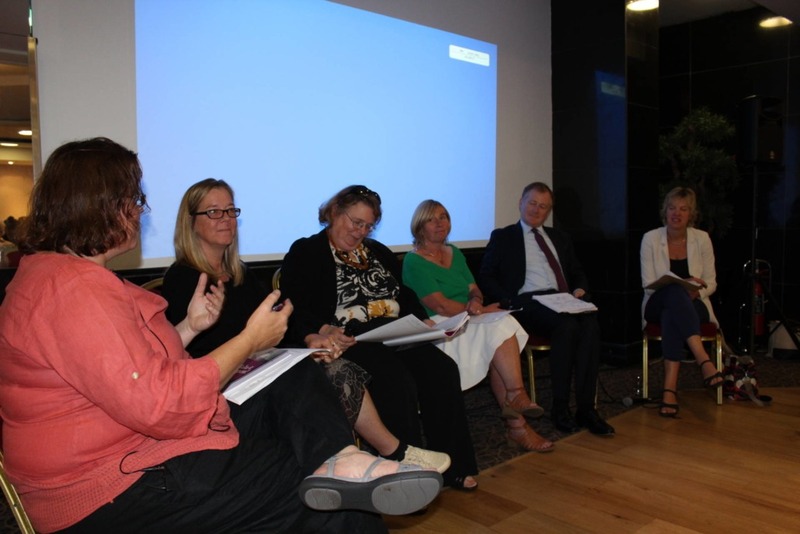 The seminar was greatly enriched by the contributions of all our speakers including some of the key actors or significant contributors to the creation of the Domestic Violence Act 2018. 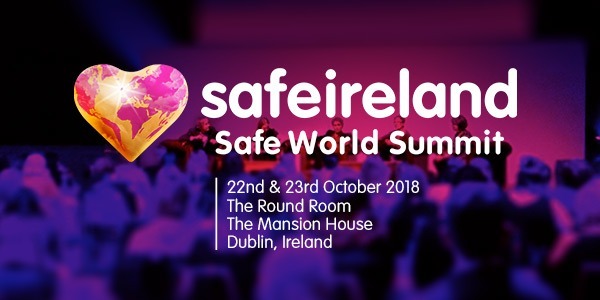 Sharon O’Halloran, CEO of Safe Ireland, opened the day by asking us to think about our recent past in Ireland, how we addressed our shame and engaged in a process of truth and reconciliation. This process, she said, allowed us to face the very worst of ourselves and in turn discover the very best of ourselves. There is however, one last institution in Irish society, that we have left to address. The home. Until we do, she said, we will not take on domestic violence. We have to break down the institution of the home in the same way we broke down the institutions that jailed mothers and babies. And most of all we have to change the way we talk about it. We have to listen to the home truths and then we have to act on what we hear. She went on to say that the Domestic Violence Act 2018 goes along way in helping us to do this. The new Act has the capacity to change culture, to get us thinking about domestic violence in a different way and to ultimately save lives. 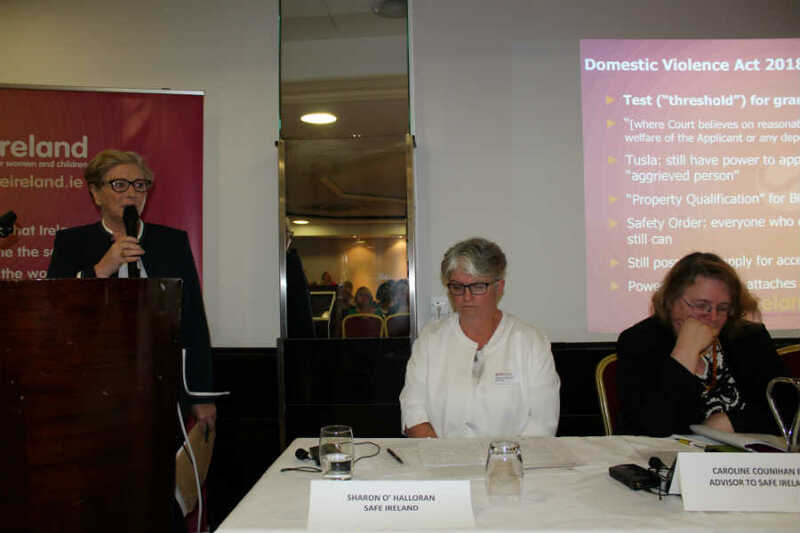 Caroline Counihan, BL, Legal Advisor to Safe Ireland, followed by presenting some of the key advancements the new Domestic Violence Act will bring about. Her informative presentation is available to download here. 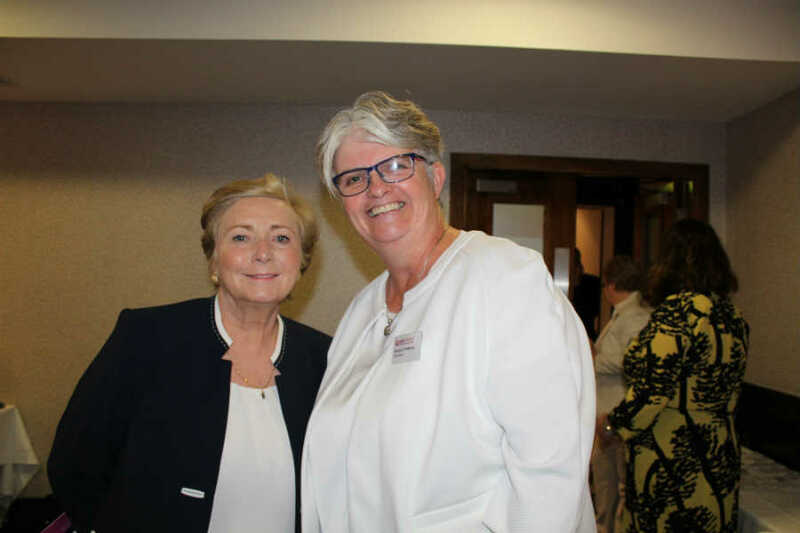 Former Minister of Justice Frances Fitzgerald spoke about her role in first introducing the legislation to the Seanad, maintaining commitment and ensuring dialogue throughout the legislative journey. She recalled being told that legally the Government could not introduce coercive control as a criminal offence and that constitutionally there could not be more importance placed on people over property to allow for Emergency Barring Orders, but through collaboration and problem solving both provisions were achieved within the legislation. 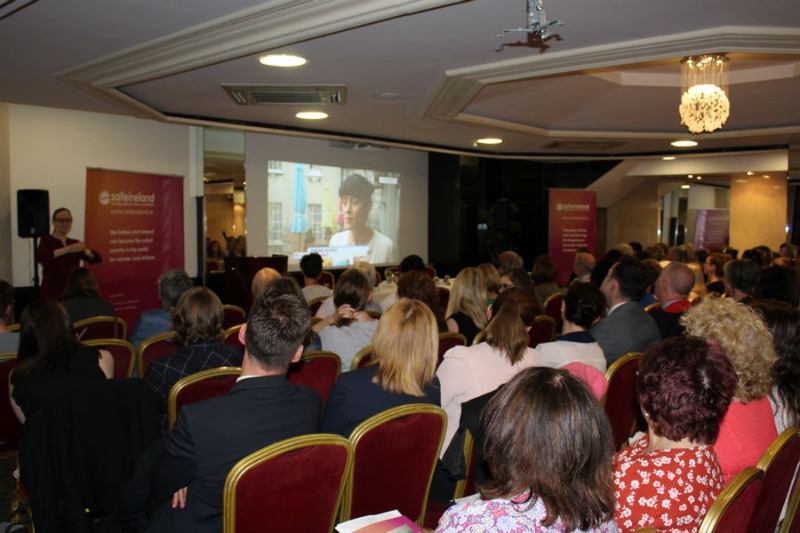 Following on from Davina, Caitriona Gleeson, Safe Ireland’s Programme and Communication Manager took to the stage to introduce and launch Resolve – our new dedicated legal information and advocacy service to support women’s access to justice and legal remedies. The establishment of this new service is the culmination of years of collaborating, listening to our members, and most importantly listening to women and their needs. Her presentation is available here. 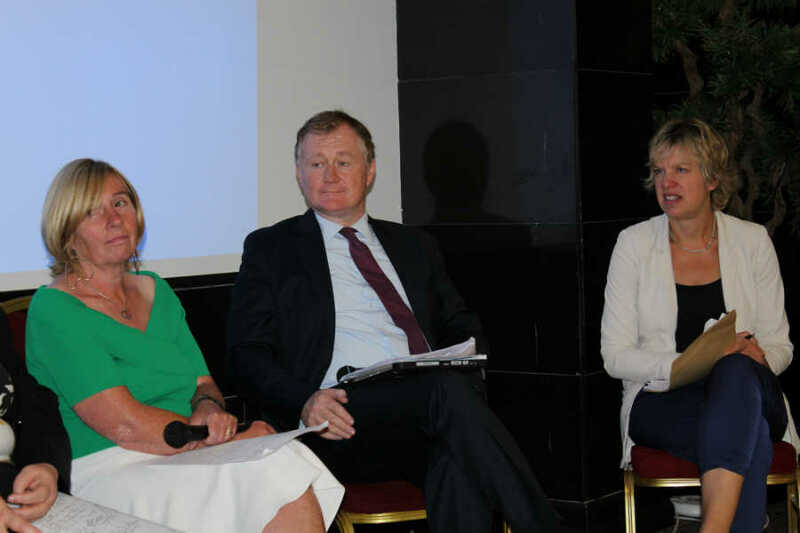 In the afternoon we were joined by an incredible panel which included Senator Collette Kelleher, Senator Ivana Bacik, Keith Walsh, Chair of the Family and Child Law Committee, Law Society of Ireland, Caroline Counihan and Caitriona Gleeson who reflected on the power of collaboration, evidence and expertise in the development and implementation of the Domestic Violence Act 2018. The seminar ended with audience engagement and some stark reminders of the significant amount of work that needs to be progressed to bring about the changes necessary to improve access to justice and most importantly to prevent violence against women and particularly the murder of women and children by partners/ex partners. 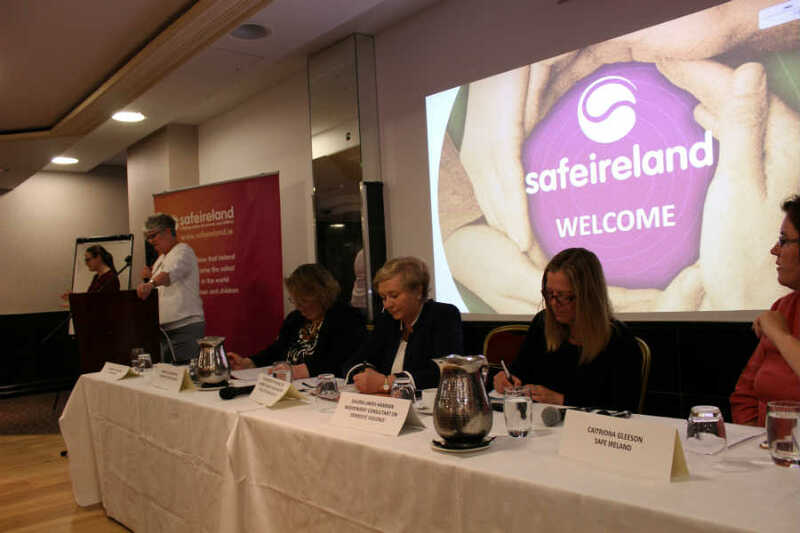 Great discussion @SAFEIreland event on the ground breaking domestic violence act with @FitzgeraldFrncs highlighting the importance of collaborating & consulting with civil society in order to reach real solutions.